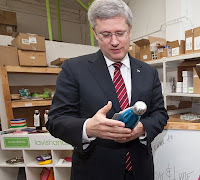 Canadian Prime Minister Stephen Harper took a step towards more eco friendly living Friday when he made a pledge to use reusable bottles more frequently. While in discussion with small business owners at a January 13th roundtable event in Vancouver hosted by eco boutique Lavish & Lime, the Prime Minister of Canada agreed using more reusable containers is the way to. "My green new year's resolution is to use fewer disposable cups at the rink," he said. 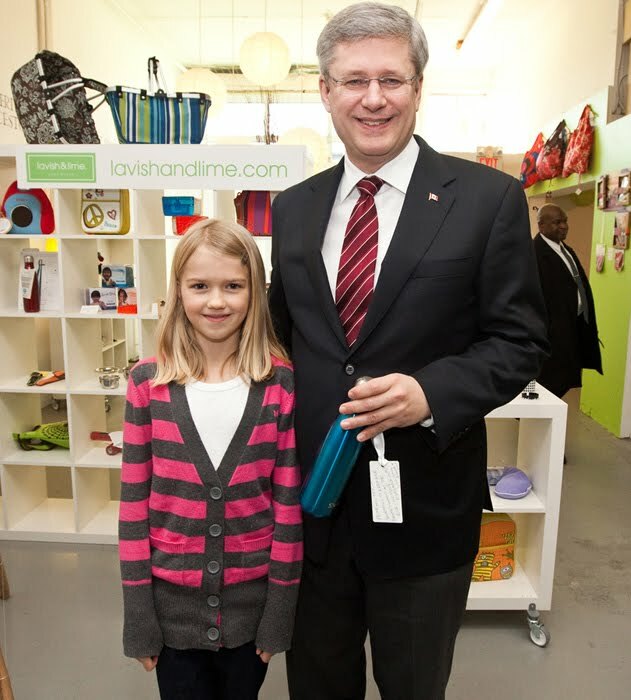 Lavish & Lime presented the Stephen Harper with an insulated stainless steel S'well bottle to help keep his favourite Tim Hortons coffee warm at the hockey games and curling matches he loves to watch. The Prime Minister was also given a Lunchbots Uno Stainless Steel food container for his son Ben, a Peace Sign Rume Reusable Baggie for his daughter Rachel and a reusable Grover Envirosax bag to transport it all back to Ottawa. For more, click here. 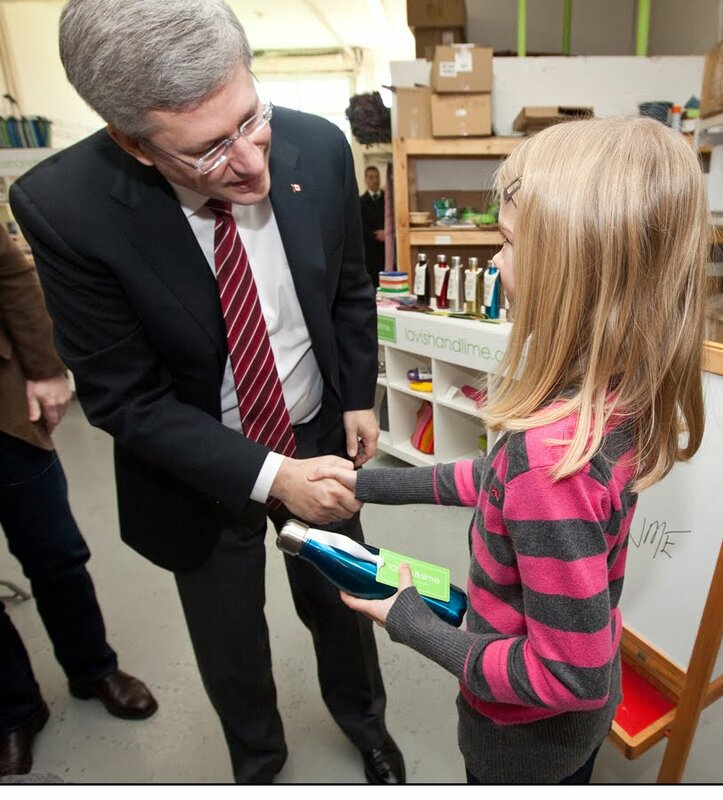 Our daughter presented Canadian Prime Minister Stephen Harper with an eco-friendly S'well bottle. 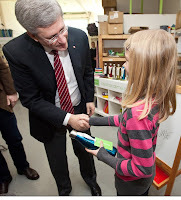 The Prime Minister said he would use his new reusable S'well bottle at the rink to reduce use of disposable cups.